The office opening follows the firm's acquisitions of Bird & Schulte in January and Formula PR late last year. 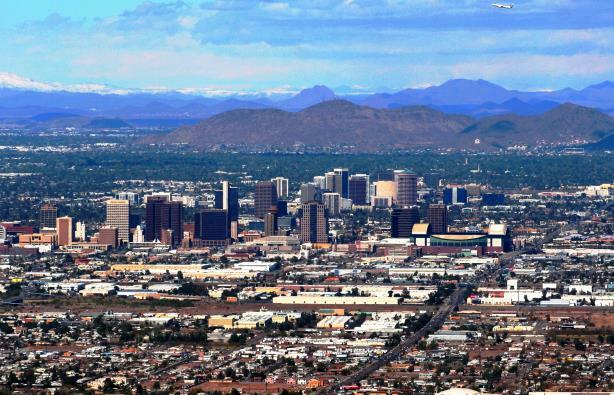 PHOENIX: Havas PR has opened an office in Phoenix, Arizona, with plans to mark the launch by hosting a strategy session next month for local nonprofits. Slated for March 10, the event will be called Community & Cause. The firm will offer Phoenix-based nonprofits a complimentary hour-long session with agency personnel. The office will offer services including corporate communications, Hispanic media relations, social media, and digital marketing assistance. The firm’s research, creative, and digital departments will also support the location. Havas’ Hispanic practice, Conexiones, will be housed jointly in Phoenix and New York. The Phoenix office will serve clients including Fox Restaurant Concepts, whose AOR account Havas recently won, according to a statement from the agency. Headquartered in Phoenix, Fox has 15 restaurant concepts and 39 locations throughout Arizona. The Phoenix office will also represent cloud-based marketing and ad campaign creator SocialWhirled, discount retailer Big Lots, and the Indigenous Peoples Law and Policy Program at the University of Arizona. New hires at the firm include Angela Carrasco, who will manage Hispanic media relations and social efforts, and Stephanie Clarke and Katie Snyder, who will manage accounts. Last week, Havas hired Chris Hirst, CEO of Grey London, to lead its greater Europe business. The firm is also planning to open a new European headquarters in London at the end of next year. Last month, Havas Group acquired Freiburg, Germany-based integrated healthcare specialist firm Bird & Schulte Advertising. It bought Formula PR near the end of last year and renamed the agency Havas Formula.